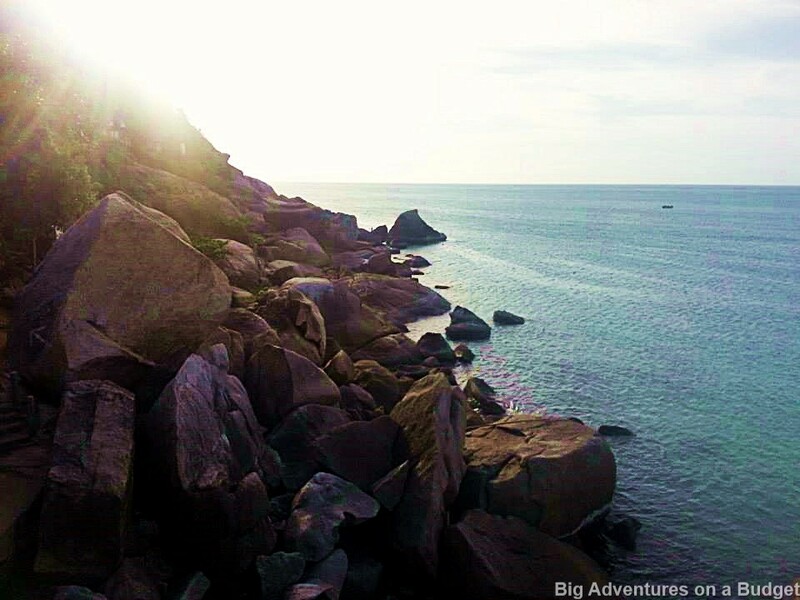 Koh Phangan is known for one thing, its Full Moon Parties, and they never disappoint! 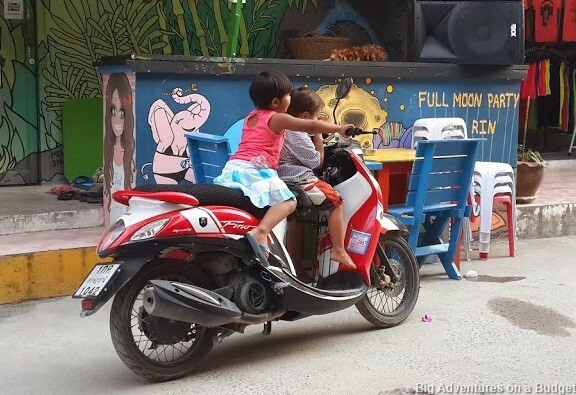 From Koh Samui or Koh Tao, take a short ferry for around $10. From Bangkok, you can take a combined train and ferry ticket which will take you about 12 hours and will cost around $25. 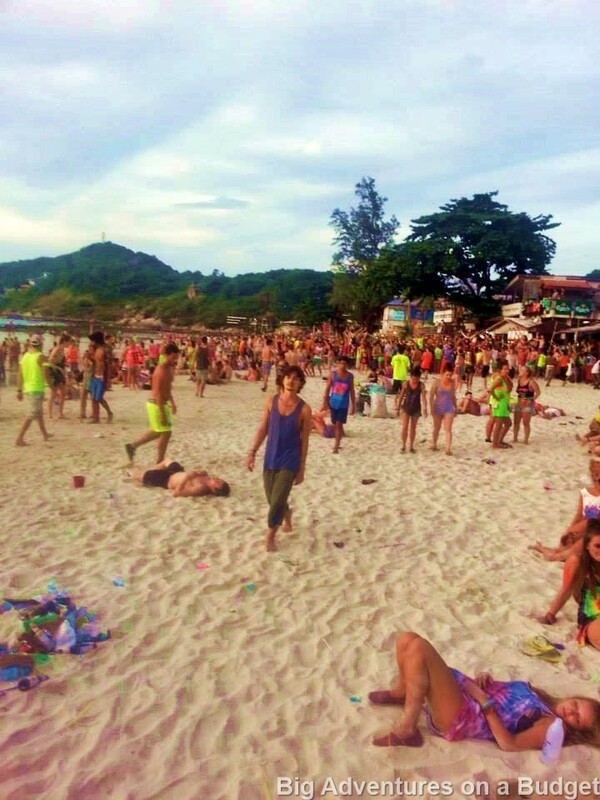 There is a new hostel opening up every week in Koh Phangan due to the popularity of the Full Moon parties. 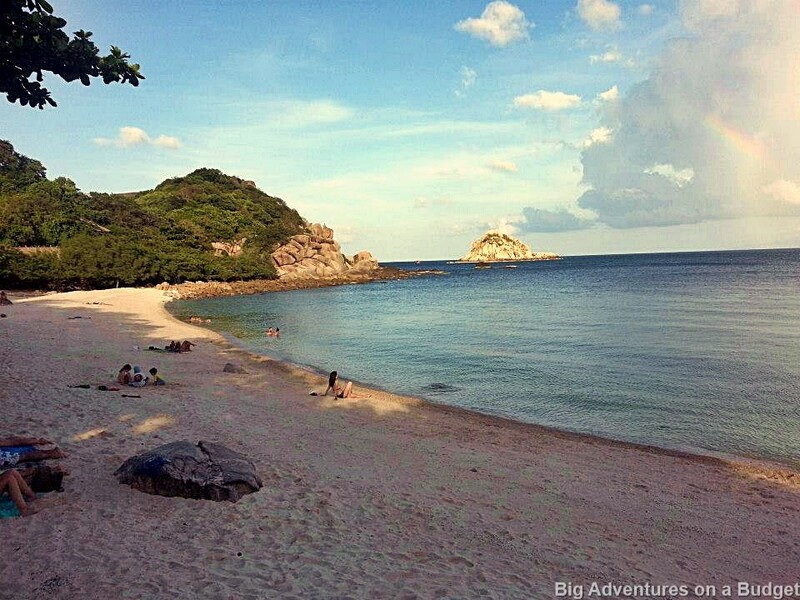 The backpacker area is Haad Rin beach, although the rest of the island has beautiful resorts and is party free. A lot can be average and overpriced, however some are great value. I have stayed at the Dancing Elephant hostel twice and have made friends for life there. 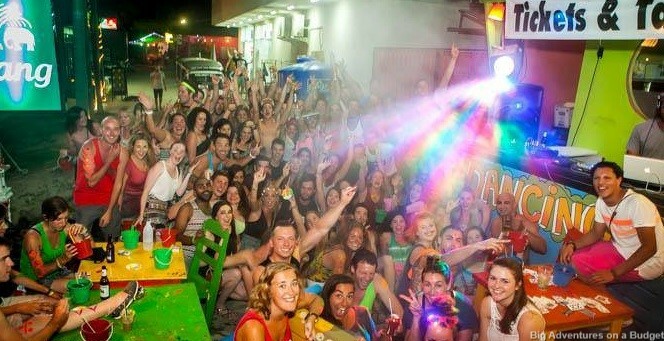 It is the biggest party hostel and is just a few blocks back from the party beach (the ideal spot). Also it’s important to note a lot of places have a minimum stay of five nights over Full Moon week. All these streets leading back from the beach are narrow and full of hostels, so anywhere near there is ideal. This hostel is quite expensive during Full Moon ($35 a night), so I would recommend staying somewhere on the same street or nearby and just visiting their bar and pre parties to meet people. The Lazy House and Jaya Hostel is also a good place to stay nearby to this. Nothing. 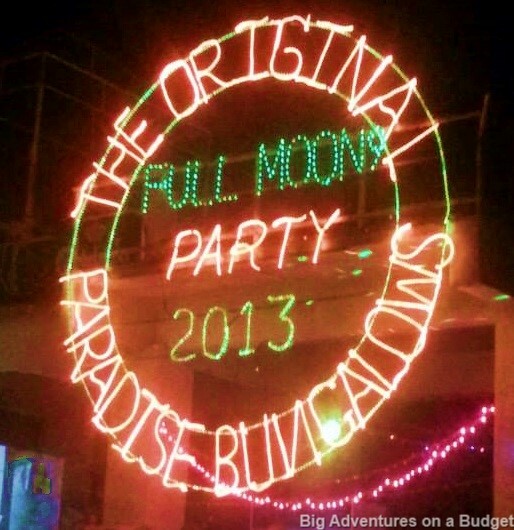 This island has made its fortune on the Full Moon parties and it is the main attraction. Each time I go I say I want to visit waterfalls and the north of the island, but it never happens. 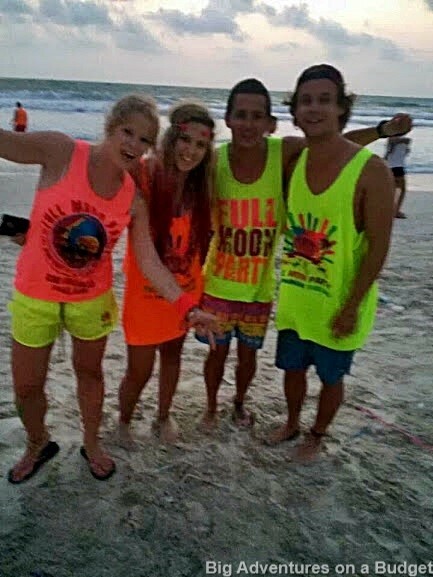 The best thing to do here is make friends, relax during the day and party hard at night on the beach. The way the week goes is that you pre drink at your hostel or somewhere from around 7pm, meet people to party with and then head down to the beach around 10pm. Each night it doesn’t die down until after sunrise, so it is easy to stay later than imagined. People then sleep until the afternoon, eat and repeat! The island is prepared for everyone to be there five nights and plans its themed parties accordingly. 90% of people plan their stay so the Full Moon is the 4th night of their stay. The first night is a pool party at Coral Bungalows and the pool and entire hotel is absolutely packed with half naked people! The second night is a Waterfall party, 15min drive from the beach literally in the middle of nowhere, and has huge man made wilderness themed objects, stages and accessories. The third night is a Jungle party in a different location with a similar theme. These parties are quite expensive and I found the beach to be busy enough by 9pm so you didn’t need to go to them. They charge $10 entry and $20 for buckets so it was way out of my budget! Another reason to stay the five nights is that over these first few nights, you get to know everyone at your hostel and so by the night of the Full Moon you are partying with your new best friends. Everyone knows one another and you feel very safe on the beach. At the end of the Haad Rin beach you will see a few buildings on the top of a mountain. These bars famously sell mushroom shakes, but more importantly host the best view on the island. It looks over the entire beach and is a great spot to be at any point of the party as you get the full view of it! Most people go up there to have a few drinks with a group of friends, and dangle their legs off the edge in awe of the parties below. Locals are used to thousands of stupid tourists a week, and it is important to pick one bucket lady/man and stick to them so they get to know you. This way the more they know you, they surprisingly take care of you with alcohol quality and give you a better price. Also, drink as much bucket as you can around friends in one spot near the bucket seller. I’ve seen too many people slip something into people’s buckets as they swing them around dancing- so down the hatch! You have to do it at least once, if not every night, to experience the full atmosphere of the party! It is even better if you are half sober by this point as you will see some of the funniest things you never think you would. My friends and I had some bad scares with methanol and fake alcohol, so the only way to test it is when you buy a bucket and they first put the spirit and ice into it, ask to smell it. You will instantly know (and almost pass out) if it’s something you shouldn’t be drinking. Once it’s mixed with red bull and coke you’ll never know what it is. On the actual Full Moon night, we couldn’t find any alcohol that wasn’t fake, so in the end we just bought pre mixed cruisers etc from the 7/11. It wasn’t ideal, but you have to understand there are double the amount of people on this particular night so they are revenue raising as much as they can with dangerously cheap alcohol. I went twice as a solo traveler and I made some incredible friends the nights leading up to Full Moon. This was important as we all took care of one another and made sure we didn’t get lost. We even made a hand signal and stuck our hands in the air to be able to follow one another from bar to bar (it’s seriously that busy). The night of the actual Full Moon is so different to the others; there is 10,000 extra people who have come over for the night from Koh Samui (so they’re reckless and have no idea about the island), the locals are on the prowl stealing from drunk people, the bartenders are selling buckets with fake alcohol and you are constantly losing your friends. 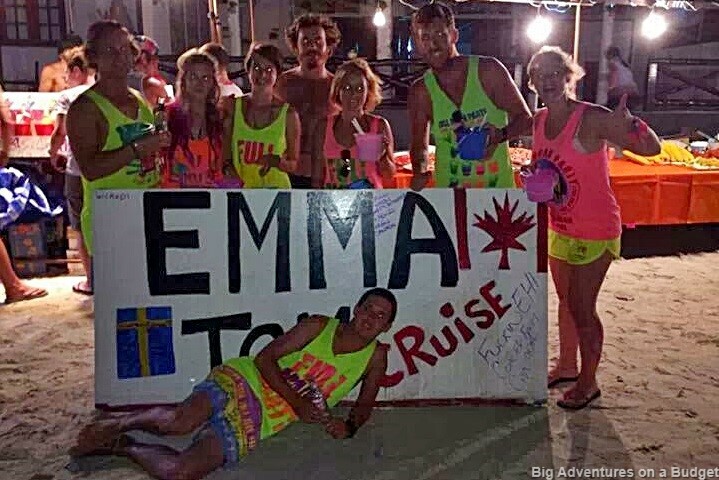 All the nights leading up to this are logistically the same, in that you party on the beach until the sun comes up, except it just isn’t as busy, you can go to the toilet without knowing you’ll never see your friends again, and can actually get the Smirnoff you paid for. So make the most of the pre parties! The first Full Moon I went to I took my phone and wallet in a little bag over my shoulder and never had any problems. However the second time I just took cash and put it in my bra. Generally you will be fine with a phone and it’s good to be able to contact people if you get lost and take photos. Just make sure you don’t get too drunk to forget you have it, as it will get stolen. All the horror stories I have heard could have easily been avoided by having your wits about you, so if you are aware of what can happen you will be totally fine. You don’t need to wear enclosed shoes, you don’t need to carry around a medical kit to the beach (I actually met some English lads that did this), and you don’t need to be suspicious of everyone. 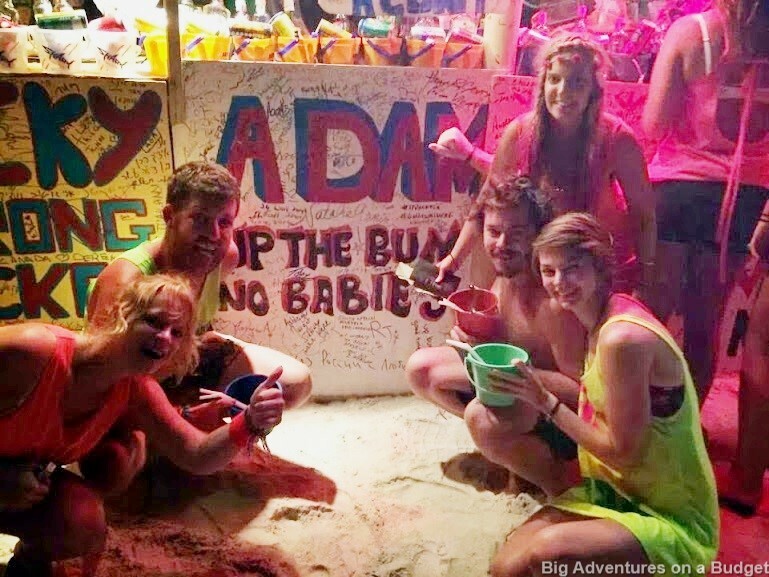 Everyone is there to meet people, dance on the beach and have a good time, so if you’re smart enough you don’t need to take warnings too seriously, as they’re mostly for the more inexperienced travelers. So go crazy and dance under the Full Moon until the next day, everyday! 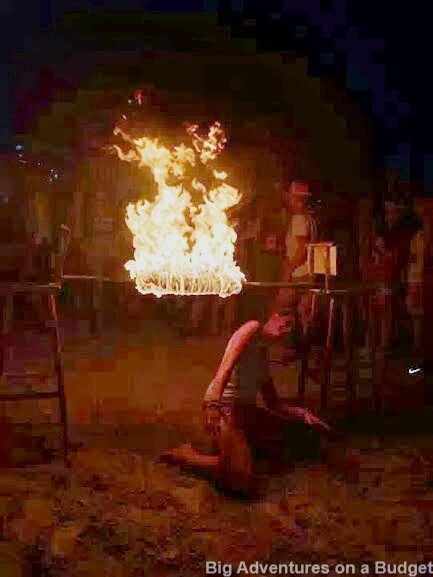 This entry was posted in Asia, Thailand and tagged buckets, budget accommodation, Full Moon Party, Haad Rin, jungle party, pool party, waterfall party. Bookmark the permalink.